I grew up in two worlds: the manicured lawns and cul-de-sacs of suburban Linthicum and the narrow streets and row houses of East Baltimore. Like Dorothy landing in Technicolor Oz after the black-and-white landscape of Kansas, going “into the city” every weekend and for long summer visits was a journey of more than mere miles. Everything was different: the sounds (fog horns); the tastes (squid stuffed with their tentacles and stewed in their ink at long-gone Spanish restaurants on Broadway); and, especially, the smells. In Linthicum, the dominant scent was fresh-cut grass accompanied by the somnolent whir of central air-conditioning. But less that ten miles due north, were the smells of a once-great manufacturing town, place where people worked with their hands and got dirty, a grand schnoz of olfactory treasure. On the Fells Point waterfront, giant cauldrons of tomatoes were steamed for canning and distribution by rail across the country; boiling hops made the air bittersweet where Conkling Street met O’Donnell at the confluence of Canton and Highlandtown. And — the great memory of every Baltimorean of a certain age — whatever was being ground at McCormick — be it nutmeg or cinnamon or pepper — when the spice palace was still on Light Street before the advent of Harborplace in the 1980s. But one of the most peculiar, and thus memorable smells (the sense most closely connected to memory) was the roofing man’s wagon of hot and gooey black tar — the Tar Pits of Crabtown! — when flat roofs were being swabbed with a new coat or patch job. Some remember it fondly, other feel like throwing up just thinking about it. But everyone born before the Colts left town remembers the nearly ubiquitous tar-wagon of the truck-and-ladder men and the stink it put into the air. “Hated that smell,” said local Catholic girl Karen Dabrowski Gephardt, a proud product of the Institute of Notre Dame. And, because this is Baltimore, some of the young knuckleheads put a piece of the tar in their mouths, chewing it like Wrigley’s Juicy Fruit on the very suspect local wisdom that it would whiten your teeth. “Just break a little chunk off before it went into the heater,” said one Patterson Park High School graduate. 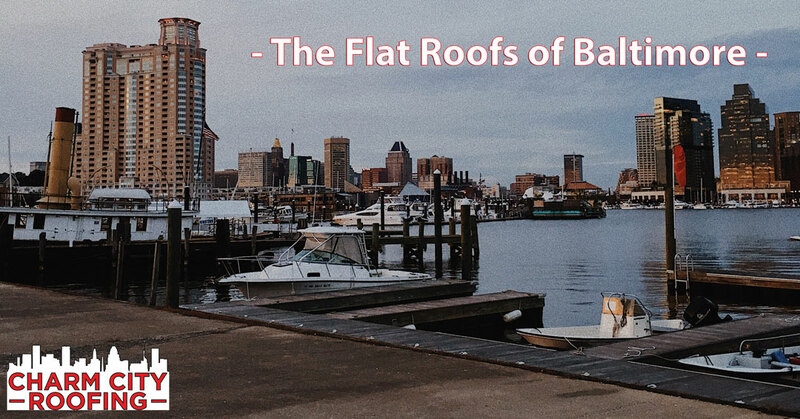 Yes they do, but not so much anymore, said Roger Bush, owner of Charm City Roofing. Bush does most of his business in the city, particularly in the gentrified neighborhoods of Fells Point, Canton and parts of Highlandtown where new owners have built decks on their flat roofs that make it tricky to lay down protection against the wind, the snow and the rain. 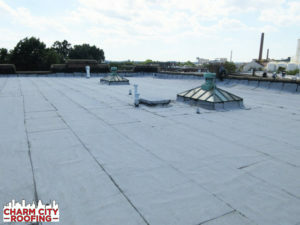 Mr. Henderson is now deceased and hot tar was displaced a decade ago or more by the “rubber roof,” a technology in which long strips of membrane are affixed to flat or slightly sloping roofs with a propane torch. Before the rubber is affixed, a thin, fireproof carpet is nailed down to keep the torch from igniting the house. They also work with fire extinguishers on hand. 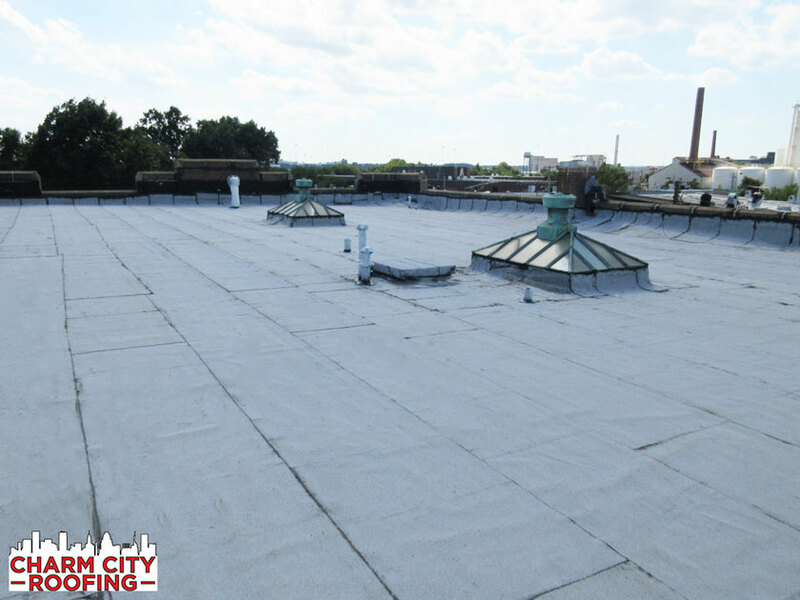 “I found a niche in a neglected market and the money is good,” said Bush, who did all sorts of home improvement contracting — including renovating and flipping houses — before going full-time with Charm City Roofing in 2015. That niche has to do with the urban rooftop deck, almost as common as TV antennas were in the 1960s. 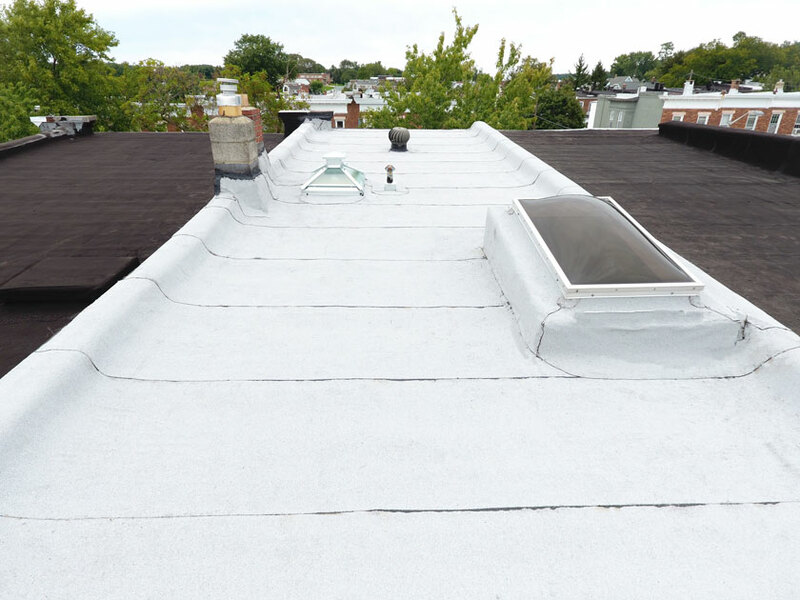 “Half of our work is putting rubber roofs on houses with rooftop decks,” said Bush, noting that the process is cumbersome because all or part of the deck has to be removed and later reassembled to get the job done. The life of a rubber roof, said Bush, who lives in northern Anne Arundel County, is 15-to-20 years. Not long ago, Bush and his crew put a new slate roof of Holy Cross Church at 100 East West Street in South Baltimore. “That was cool,” said Bush, who, as he travels the city, is always looking up to see what’s going on atop the various buildings across the skyline of Baltimore. And he’s yet to find some grimy-faced street urchin trying to chew a sliver of a rubber roof. Those days, like the smell of nutmeg in the air, are gone. My grandfather was Moe Simon owner of Simon Roofing, North Ave. & Payson St. 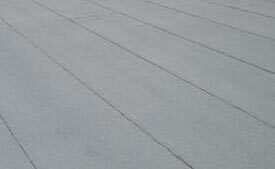 Worked there one summer & we re-roofed with insulation flat roof @ Spring Grove with pitch. Nasty stuff. My uncle, Paul Simon, ladled the pitch & we would spread the ballast stones. It was so hot as the pitch left the ladle it would spontaneously ignite. By the end of the job the kettle man’s eyes had almost swollen shut. The foreman, Jonesy, was my ‘protection’ when I was the only white on one of the trucks or a job. The ‘unwritten’ rule was that Simon’s were off limits for criminals and any violation would result in death and probably some family recriminations, too. You wouldn’t believe the physical exertion, environmental conditions and grime unless you did it. That’s a very cool memory to have of your Grandfather and his company. Thank you for sharing. Indeed, it’s truly hard to convey the exhaustion of that type of work without doing it yourself. There’s a nostalgia, but I’m certainly glad that those days are a thing of the past.